I was provided with one or more of the products shown in this post for review purposes but all opinions expressed are my own. Do you have a food that you crave when you are not feeling well, stressed out, or just want a bit of “yum” in an otherwise dreary day? My comfort food has always been a grilled cheese sandwich with tomato soup. In fact, I think I ate that meal almost every single day for my second pregnancy. Other foods did not appeal to me at all but a gooey grilled cheese sandwich and a can of tomato soup hit the spot. Well, bread and cheese are still a no no as I struggle through this Paleo diet but no reason I can’t indulge in a warm bowl of tomato soup, right? While I have been known to buy tomato soup in a can from the grocery store on occasion, I have also made my own many times as well. However, most of my tomato soup recipes require dairy. 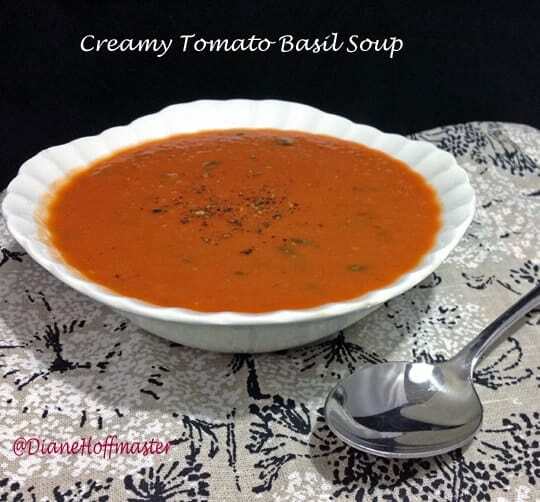 The fat from whole cream just gives tomato soup an amazing taste and mouth feel. But, again with the whole ‘no dairy allowed’ thing of this Paleo diet! So, I decided to replace the dairy in my tomato soup recipe with full fat coconut milk. Low and behold, I have a delicious tomato soup that is dairy free, grain free, and Paleo approved! I started with canned tomatoes since that is all I currently have on hand but during the summer if you have a bumper crop of tomatoes you can make it from fresh ones, too. Now, if I can just figure out a Paleo approved grilled cheese sandwich, life will be good! Delicious and creamy comfort food! Add the tomatoes and tomato paste. In batches, blend the soup in a blender or food processor. Be careful! IT IS HOT! Put the blended soup back into a pot and add the coconut milk, salt and pepper. Heat 2 to 3 more minutes and serve! YUM! Are you a tomato soup fan? Looks great! Love a tasty tomato soup. :) Glad you are enjoying those Gourmet Garden herbs....I just love them! So nice to have that fresh flavor just waiting in my fridge! I love tomato soup. It's one of my favorites. This really had an amazingly fresh flavor...unlike the canned varieties! 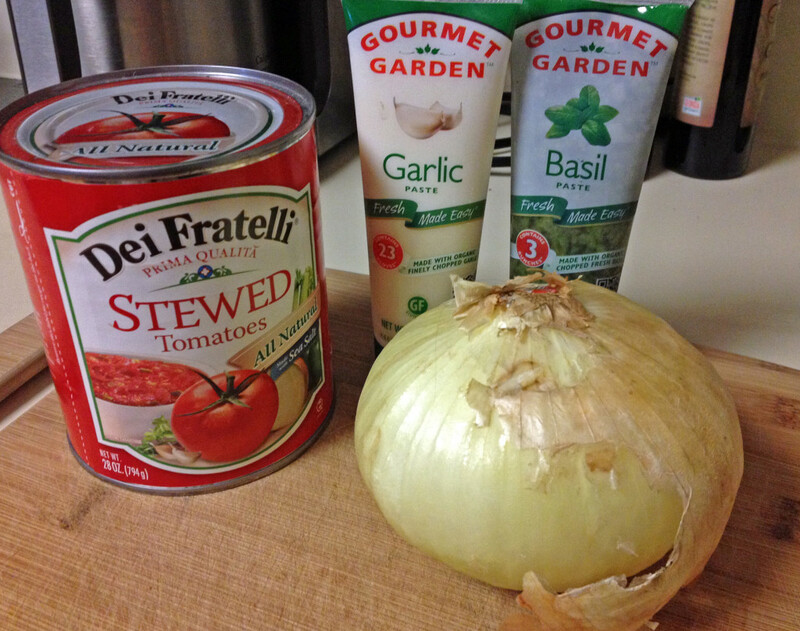 I've been craving desperately a healthy version of tomato soup. I've have been looking at whole foods and they all are creamy, I assume that isn't like my favorite well known plain old tomato soup. Any I've made seem more like watered down spaghetti sauce, I wonder if this could be the recipe I need to make? !!!! Looks and sounds delish! It is so cold we need this comfort food!! and all that yummy goodness! 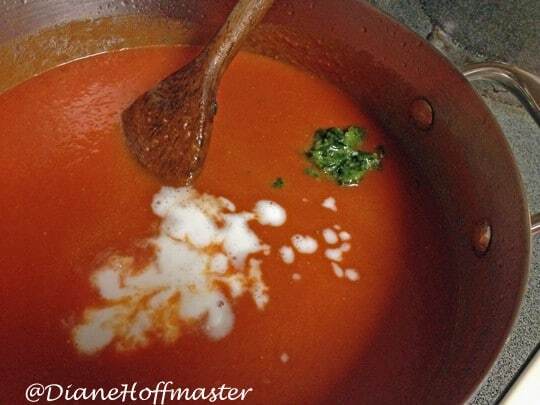 I love tomato soup and eating this version is a lot healthier and incredibly easy to make!